Time and time again, golfers have expressed the importance of field flow and the on-course pace of play. For many, it’s up there with the most vital aspects of an enjoyable golfing experience. A recent USGA survey saw 74% of respondents agree that pace is “critical” to the enjoyment of their round. When clubs fail to deliver on this front, members are often quick to complain, and a club can gain a bad reputation that proves very tough to turn around. Each member of staff are an important part of keeping things running smoothly, but when it comes to on-course interactions, it is the marshals who become the face to the members and guests of the club. That means, it is crucially important to ensure that marshals have the tools to handle issues that arise, such as a slow pace of play and flow challenges, in an adaptive and positive manner. Ensuring a consistent field flow and a steady pace of play also has a massive impact on a club’s bottom line, influencing everything from the number of members who tee off through to the amount of time they spend at the pro shop and clubhouse. To both maximize revenue opportunity and improve the members’ on-course playing experience, here are five pace of play tips clubs need to bear in mind. When it comes to field flow and pace of play, consistency is king. The club can start by providing a consistent product, beginning with the course layout and conditioning. Once those boxes have been ticked, it needs to look at ensuring that each member of staff is up to speed with pace of play protocol. With the data provided by golf club management software such as Tagmarshal, not only can management monitor member performance on the course, but they can also use the data gathered to inform and educate staff in the correct pace of play procedures. Management can oversee all on-course operations in real time, ensuring processes work efficiently and correctly, with staff performance then analyzed and streamlined to make the most of staff hours. Pace of play starts right from the tee box, and the starter needs to hold members accountable. Teeing off at the prescribed time sets the right tone and makes keeping the intervals true throughout the rest of the day far easier. Starters should also pay attention to factors that consistently affect pace of play, such as age, handicap, and mobility. Once these groups are out on the course, Tagmarshal’s real-time data and golf cart GPS tracking software can keep tabs on each grouping’s pace of play and adjust accordingly. One of the fundamentals of pace of play is measuring how on-course flow directly impacts the members’ golfing experience. Some clubs tend to think that when members are out on the course on time, their job is done. This reactive, rather than proactive, approach results in problems like bottlenecks, and a jammed field eventually leads to groups missing their tee times. Clubs who tackle pace of play problems and on-course operations proactively and in real-time can offer pre-emptive support to members. In turn, members will always react positively to a club that values their time, and readily adopt the club’s field flow and pace of play processes. The data Tagmarshal provides allows for fact-based discussions, ensuring that the occasional uncomfortable conversation with a slow-playing member can be handled tactfully. Ultimately, money spent needs to be done so in a way that can influence the club’s bottom line. Club management needs to illustrate the return on investment opportunities that golf management software provides, which is something that Tagmarshal has consistently shown. At the Country Club at Castle Pines in Colorado, for example, groups playing on pace increased from 52% to 70%, even with the volume of rounds increasing by more than 500% during peak season. In addition, round times decreased from 4:09 to 4:04, improving on the set goal time by 11 minutes. This allows clubs to increase the number of members playing through, in such a way that the quality of the experience is not compromised. Tagmarshal’s system then offers the reporting functionalities needed to produce detailed reports, which are invaluable when developing budgets and making management decisions. Many clubs often feel like they don’t have enough time or money, but they aren’t making effective use of either. Given the wealth of data and intuitive technology now available, poor staff management is an entirely unnecessary drain on a club’s time and budgetary resources. Continuous improvement via the Tagmarshal system improves staff effectiveness, scheduling, and reduces operational costs. In addition, those staff hours freed up can be in ways that open additional avenues of revenue. Using Tagmarshal’s smart data and intuitive technology, clubs can now confidently promote and provide a consistent pace of play. Given that we know exactly how important members consider the pace of play and on-course flow to their overall experience, it’s no wonder that leading courses are prioritizing investing in golf club management software ahead of the new season. 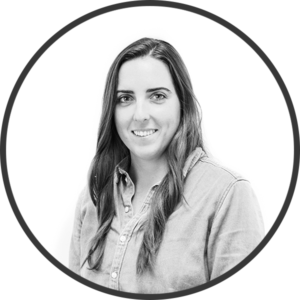 Rich with golf industry experience, Daniela brings fresh, forward-thinking ideas to her account management role. Armed with a passion for the game, she holds an MBA and is a former athlete and golf coach of the women’s golf team at the University of Missouri – St Louis. Daniela plays an integral role in supporting Tagmarshal’s partner courses.